Photo Small shed floats on a calm sea. The same aspects of keys that make them such valuable vacation spots—isolation, sandy beaches, ocean-level—make they vulnerable to storm damage. 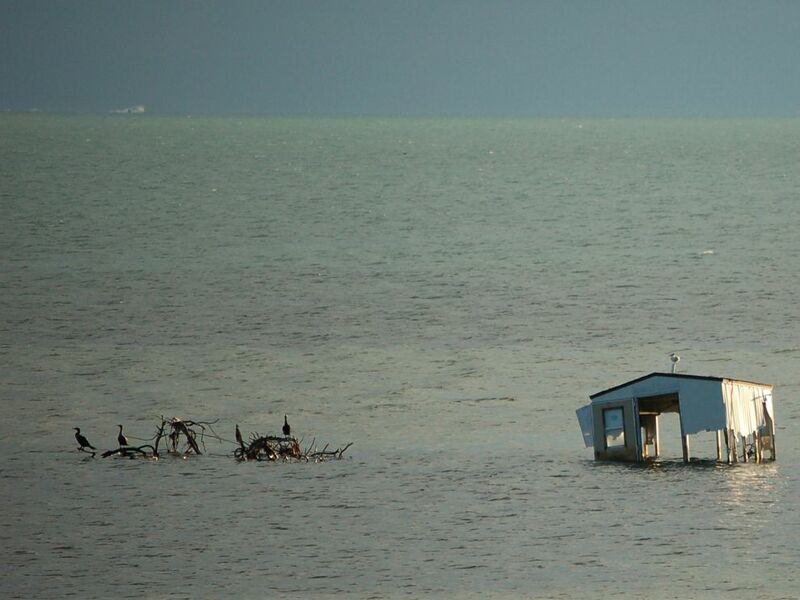 Hurricanes took this beachfront cottage out to sea from Grassy Key, Florida, for instance. Super Typhoon, Hurricane: What's the Difference?